Catherine Strickland Farley, age 78 died Dec. 5, 2006 at the VA Medical Center. Services were held on Dec.8, 2006 at Hargrove United Methodist Church with Rev. David Blakney officiating. Burial followed in the church cemetery with Skelton Funeral of Reform directing. 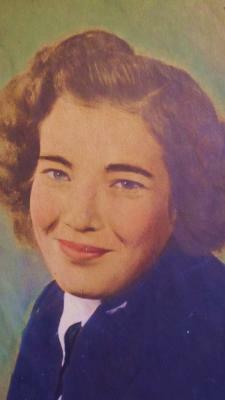 Catherine was preceded in death by her parents, her brothers, Ray Strickland and Clyde Strickland, and the father of her children Clifford Farley. Lois Way, Ruth Barks, and Doris Jones; brother, Hubert Strickland; Grandchildren, Angelia Richards , Scott Moore and Shelly Moore; great grandchildren, Jacob Gaskins and Taylor Richards; special sisters-in -laws, Lucille Strickland and Betty Frank. Catherine was born on July 10,1928 in Pickens County to the late William Jonas Strickland and India Ola Thomas Strickland. She was a member of Hargrove United Methodist Church and a retired employee of Albertsons. She was a U.S. Navy veteran and very proud of her service to her country.